Many pedals strive to emulate the tone and signal path of a tube using solid-state or digital circuitry. 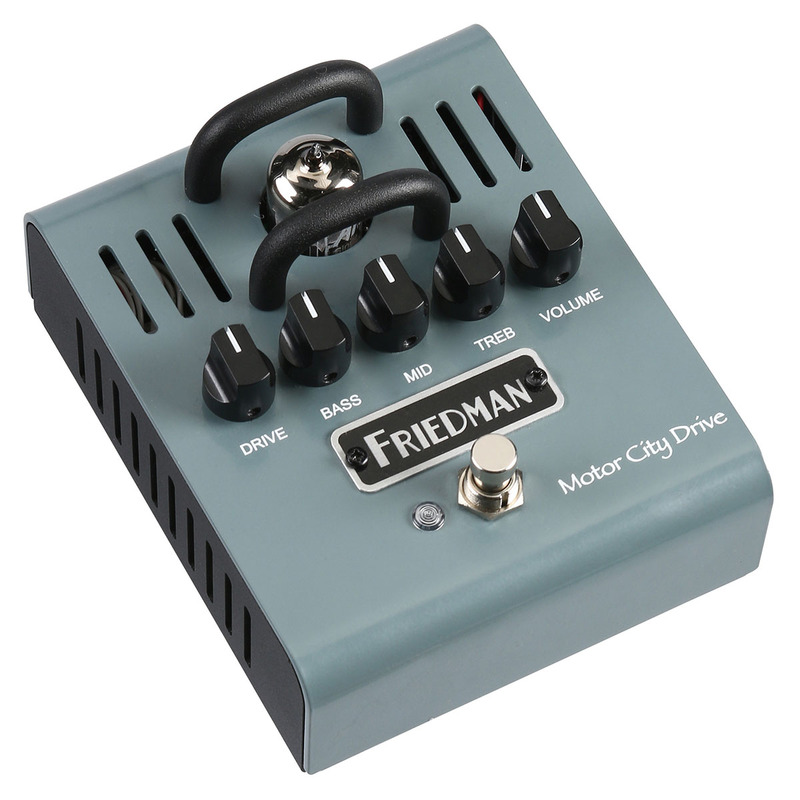 The Friedman Motor City Drive has an actual high voltage (220 volt) driven 12AX7A preamp tube. 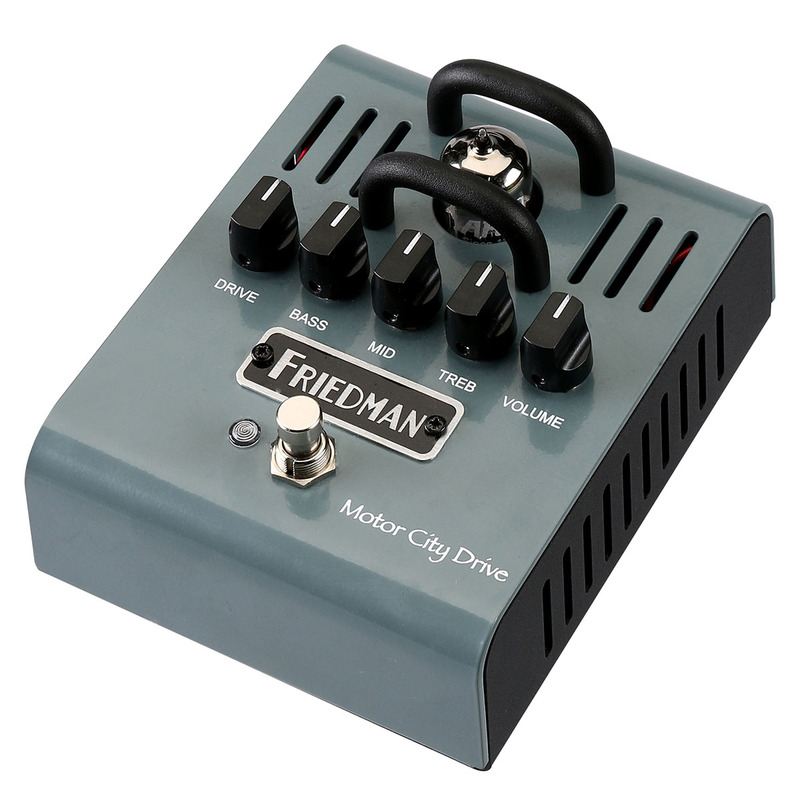 The result is a true natural feeling pedal, unlike any solid state-signal path pedal in production. The 12AX7 naturally compresses, clips and adds more harmonically rich tone than most transistor or digital devices. 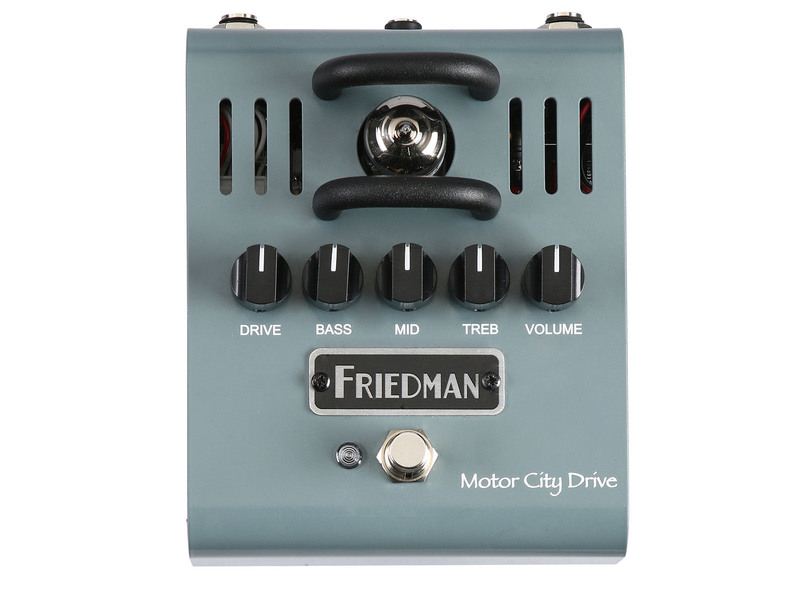 Named after Dave Friedman's home town, the Motor City Drive delivers rich tube tone that takes you from light overdrive to rich higher gain tones, that sustains for days. The wide-range gain knob allows you to dial in the right amount of saturation and distortion while the Bass, Midrange and Treble controls are a true tube preamp style tone stack. 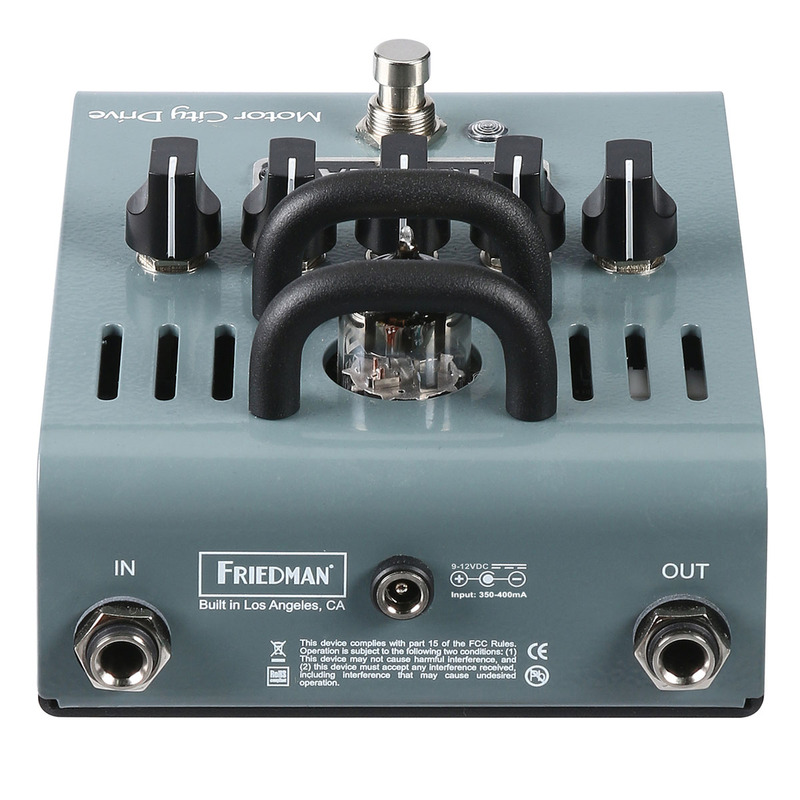 Since tubes require more current to operate than transistors, this pedal requires a specific power supply source with at least 350-400mA of current. If your power supply does not have this amount of juice, a universal 12V power supply is included.